Years ago when I first started working with Fast Lane Wireless it was an out-of-the-box web store run on www.infopia.com. The website literally had almost zero traffic as well as zero sales, the only reason it was around was because Infopia automatically displayed the same product that was being pushed onto eBay onto a matching webstore. While on the Infopia platform I was able to redesign the website and drive enough traffic to generate over $40k a month in sales. Eventually we were able to switch over to ChannelAdvisor and utilize their Premium Webstore that runs off of the ASPdotNet Storefront platform. With this new platform we were able to again redesign Fast Lane Wireless and turn it into a user friendly website that offered a more robust set of eCommerce features. The main reason for the conversion was the development of a full Inventory Management System powered off of a custom developed Salesforce.com platform which integrates into ChannelAdvisor. Fast Lane Wireless was originally built as an ebay focused business. When I first joined the team we were doing about $200K in online sales, 95% being on eBay. It took about 2 1/2 years to build that into a $400K per month online business. Eventually, I took over a Director of eCommerce and grew their online sales from $400K per month to over $1.6M per month leveraging eBay, Amazon and their eCommerce website. * all stats were calculated from Terapeak and ChannelAdvisor. Whether you are looking for some simple advice, full on professional consulting services or even assistance with development work, send me a message and I will be happy to help you out any way I can. One of the ways I accomplished this was by enhancing our mobile user interface because we realized over 30% of our traffic was coming from mobile devices. 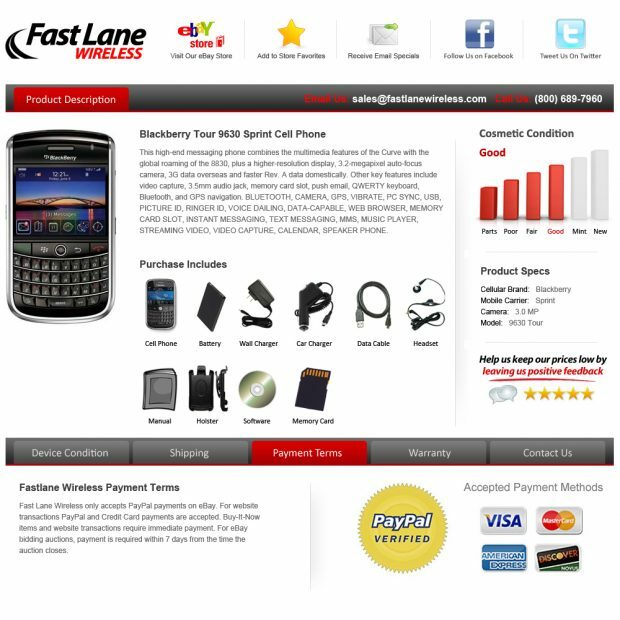 We redesigned a new mobile skin for Fast Lane Wireless which we developed and rolled out in April 2012. 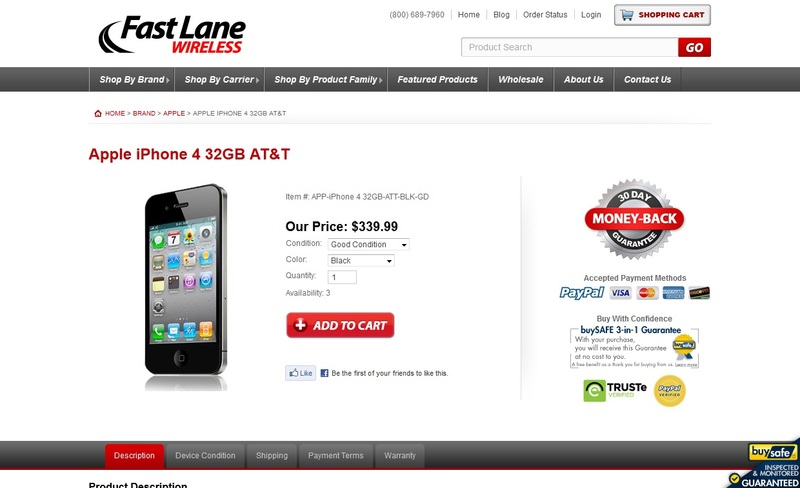 I was able to grow Fast Lane Wireless into a reputable eCommerce website that brought in over $200k per month. Unfortunately, our new parent company wanted me to split my focus between eCommerce and offline wholesale. Since I had no desire in perusing a career in traditional wholesale, I decided to move on to help another company to grow in the multi-channel eCommerce arena (Tool Smith Direct). I was sad to hear that after a year from when I left, Clover Wireless decided to switch their business model to 100% wholesale. I later found out that was because they never replaced my position and they never got a handle on eCommerce after I left. I offer eCommerce consulting and coaching services.